Those of us in high income countries benefit from easy access to essential amenities such as water, electricity, state-of-the-art medical equipment and experts capable of performing a vast range of life saving procedures. Those in low-income countries often lack some or all of these privileges. The results (amongst others) are low life expectancies and high maternal and neonatal mortality rates. Even when donations are made or funds invested in medical equipment it is often unsuited to the environment in which it is required, resulting in what Gatrad et al (2007) defined as ‘equipment graveyards in low-income income environments’. The aim of this project is to assess the potential for the employment of disruptive innovation techniques based on rapid, prototype-based ethnographic appraisal in the development of radical but culturally, politically, economically and legally appropriate medical product solutions. 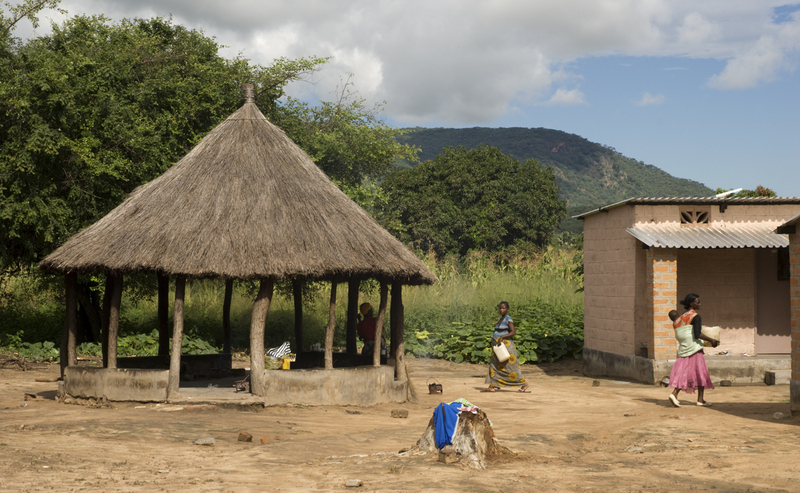 The project will focus on the needs of the Chongwe region of Zambia where Clara Watkins has joined a multi-disciplinary team led by Prof. Judith Hall (OBE) from Cardiff Medical School. PAIPR’s team is completed by Gareth and Steve. The people of Chongwe are active participants in the project. Last year Clara began carrying out a needs analysis with Zambian staff including healthcare professionals, volunteers, government officials and charities and has now started to design prototype product solutions. A major reason Chongwe was chosen was its impressive record in introducing innovative initiatives despite its peoples’ lack of resources and poor living and working conditions. The project will achieve sustainability by ensuring that the solutions it offers are based on a close understanding of the needs of the people of Chongwe, their resources, capability, culture and knowledge. The plan is to develop solutions that can be produced locally using practical and available materials and processes. Howitt, P. Darzi, A., Yang, G,. Ashrafian, H., Atun, R., Barlow, R., Blakemore, A., Bull, A. M. J., Car J., Conteh, L., Cooke, G. S .,Ford, J., Gregson, S. A. J., Kerr, K., King, D,. Kulendran, M., Malkin. R., Majeed, A. A., Matlin, S., Merrifield, R., Penfold, H. A., Reid, S. D., Smith, P. C. Stevens, M. M., Templeton, M. R., Vincent, M., Wilson, E., 2012. Technologies for Global Health, London: Imperial Collage London. A. R. Gatrad, S. Gatrad and A. Gatrad, 2007, Equipment donation to developing countries, Great Britain: The Association of Anaesthetists of Great Britain and Ireland.